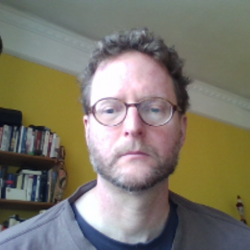 Andrew Cunningham is Humanitarian Researcher and Analyst/Research Fellow at CSDRG War Studies Department at King's College London. I have spent the last 20+ years working in the humanitarian sector. In this time my interests have developed from pure field work to research, policy, and board engagement. I spent 12 years in the field with humanitarian organisations managing operations before transitioning to HQ roles dealing with policy issues. From that point I shifted my engagement more radically into Humanitarian Studies related research. This has involved completion of a PhD as well as publication of academic papers and a book on my central research theme—State-Humanitarian INGO relations. Outside my academic engagement I work as a researcher for international NGOs and on a variety of Humanitarian Studies related themes. I am also currently a board member of a major international humanitarian INGO and so I have relevant board experience. My interest in IHSA to contribute my professional, particularly board experience, to the success of the IHSA, an association I have been actively involved with since 2009. I firmly believe in need for such an association to act as a bridge between those involved with humanitarian practice, policy, and research—we have much to learn from each other!